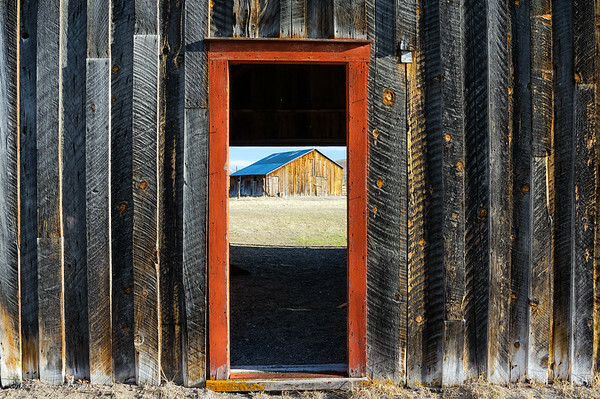 A red framed doorway of one barn looking through to another barn. I loved how the red stood out against the decayed and weathered wood slats of this side of the barn. It was also a bonus to have some good subject matter on the other side. Even better to stop here at just the right time of day for the best light. Photography is cool.